David Greening is a Nominated Coding Surveyor for the Yacht Designers and Surveyors Association Certifying Authority. He offers a “hands on service” for commercial vessel operators throughout South Devon and has Coded many different types of vessel. 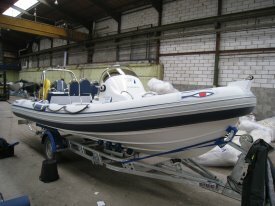 Ranging from Charter RIBS, sailing yachts, tripping boats, dive and survey vessels. As a qualified Naval Architect and YDSA Level 2 Nominated Surveyor he can produce and complete stability books for Category 0 and 1 operation in house. David has acted as an Expert Witness on MCA Coding matters. If you would like a quotation for David Greening to carry out a Coding Inspection please use the “Get a Quote” link.